The Zinn Life: November Favorites: My Favorite Local November Activities! November Favorites: My Favorite Local November Activities! Guys. November is my favorite. It's the culmination off all my favorite things (shopping, my birthday and Thanksgiving) all in one month! This also makes for one insane month, at least in the Zinn house, but still. Totally worth it. And so, I bring to you, my favorite things to do this month, especially in North Carolina. The Holly Day Fair is a big, huge mother/daughter tradition in my family. My mom was with her mom shopping on my due date 32 years ago. And we've gone pretty much every year since, only missing a few. This year, we'll be going again and this time I'll be the pregnant one! Not anywhere near my due date, thank you. The Holly Day Fair is a shopping event held by the Junior League in Fayetteville, NC. It's always held the first weekend in November. Similarly, the Junior League of Raleigh, NC holds a similar event called A Shopping Spree. They are both on the same weekend. I love Holly Day because a) it's bonding time with my mom and b) lots of food, wine and fun vendors. I always make some really cool finds there! Remember those water color paintings in Aaron's game room (see post here)? I first found them at Holly Day! That's also where I always get some of my favorite wine (Cypress Vineyards), fudge and other tasty treats. 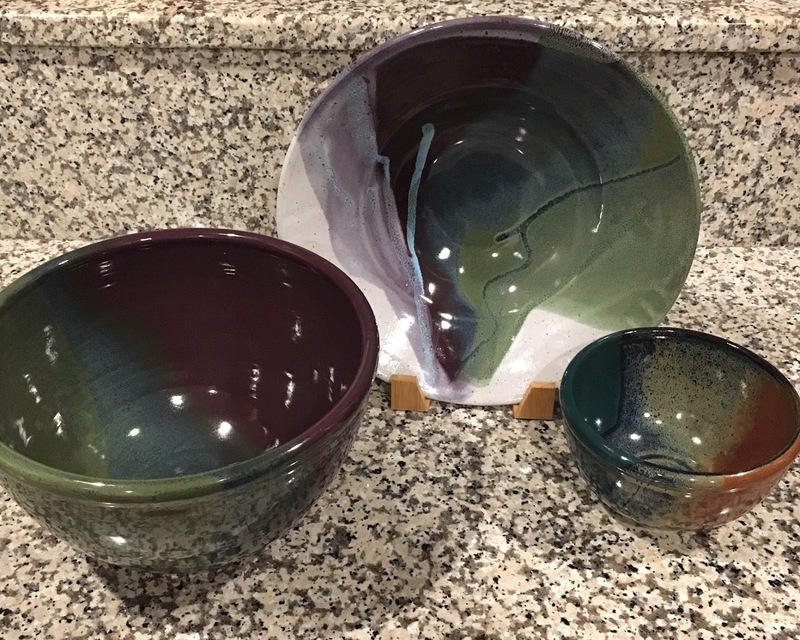 I've been banned from shopping this year, but the Seagrove Potters Festival is one of my favorite shopping events of the year! Seagrove is located in Randolph County, NC. It's home to tons of potters and a few times a year, they host big events. This is one of the biggest events and one of the easiest ways to see a lot of different potters at once. You can also drive around to some of the other potters that aren't at the festival, but are open that day. 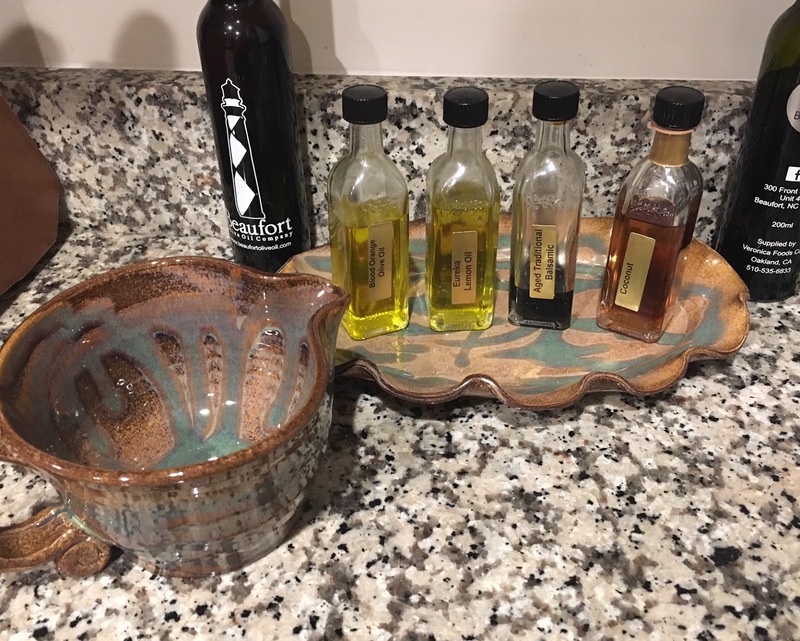 These are some of my favorite potters and pieces of theirs that I own! A few other potters that I love are Ray Pottery and Hickory Hill Pottery. This festival is always held the weekend of my birthday (November 18 and 19 this year). If you're a pottery lover, definitely check this out! And, depending on where you're traveling from, one of my favorite local NC places is nearby! Pik-N-Pig is located in Carthage and is right on a grass strip. You might even see some planes coming and going! 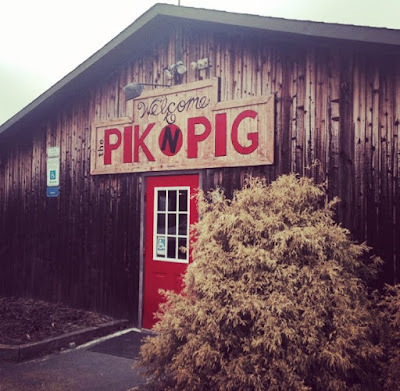 They also have some of the best barbeque and southern cooking you'll find west of 95 (I'm an eastern BBQ girl myself). There are few things that I love more than the Pioneer Woman's recipes, except maybe Ree herself! This is the second time that she will be in Raleigh and my second time seeing her! My friend Sarah and I went the last time (about this time two years ago) and we'll be going again this year. She'll be at Quail Ridge Books on Wade Avenue starting at 5:00 PM, Wednesday, November 29. I believe they are all sold out, but if you're interested, call the bookstore and see if there is any extra spots! Of course, my birthday and Thanksgiving are also this month, but I'll be covering those in other posts! This year, I'm devoting an entire week (that's three posts!) to nothing but Thanksgiving: planning it out, decorating, and my favorite recipes! What are some of your favorite things to do during November? !